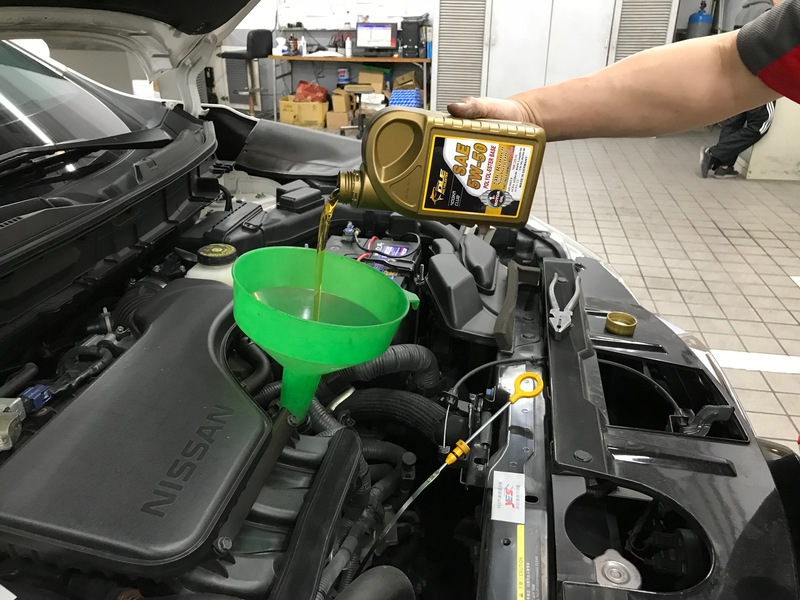 Fully-synthetic high performance engine oil with optimized viscosity grade specially developed for modern passenger cars with/without extended drain intervals and exhaust after treatment devices. 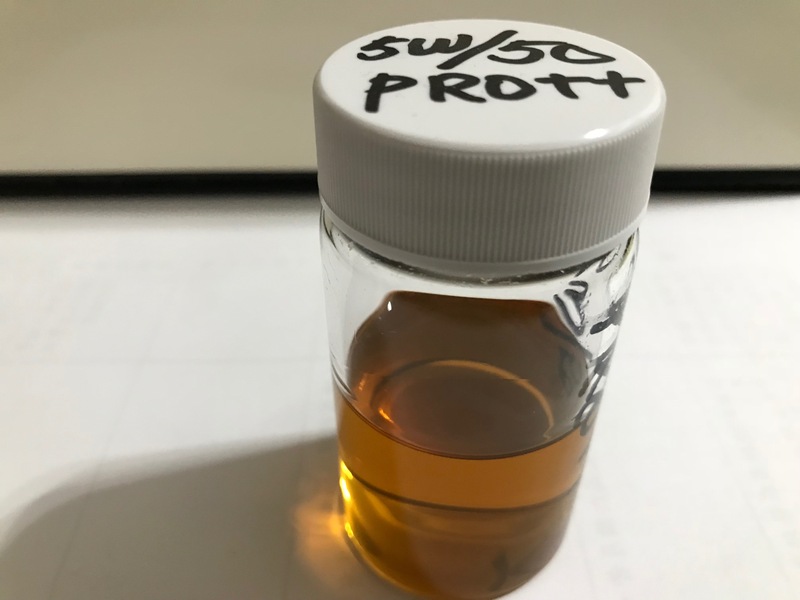 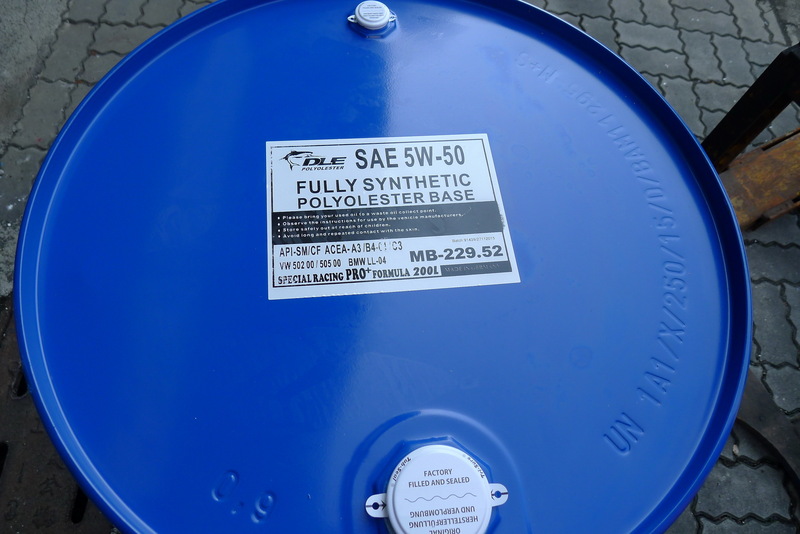 DLE Polyol-Ester FULLY SYN 5W/50 C3 MB-229.52 PRO++ with its unique composition of high VI (Viscosity Index) fully synthetic base oils and modern additive package provides an outstanding performance level. 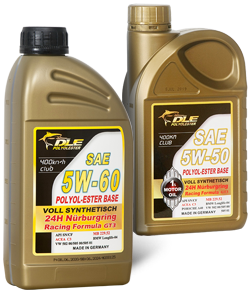 High performance engine oil with optimized viscosity grade, made from fully synthetic PAOs (Poly-Alpha- Olefin) and Polyol-Ester Base oil. 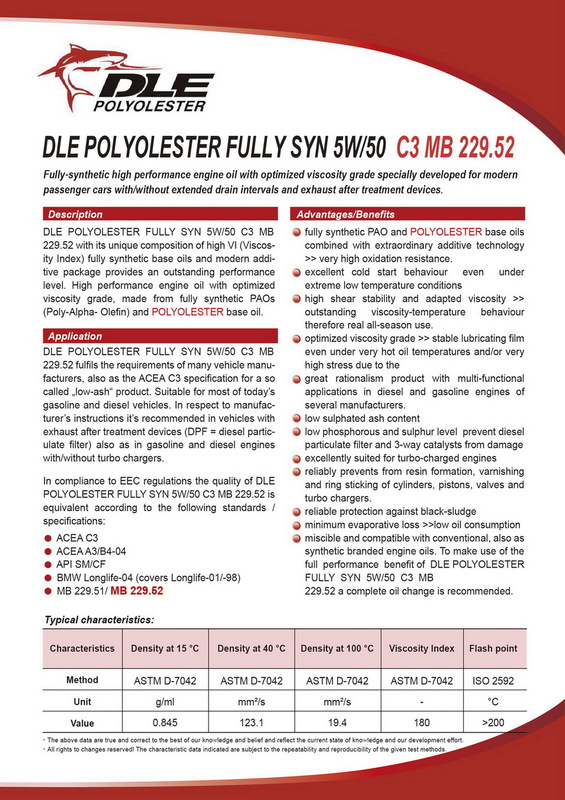 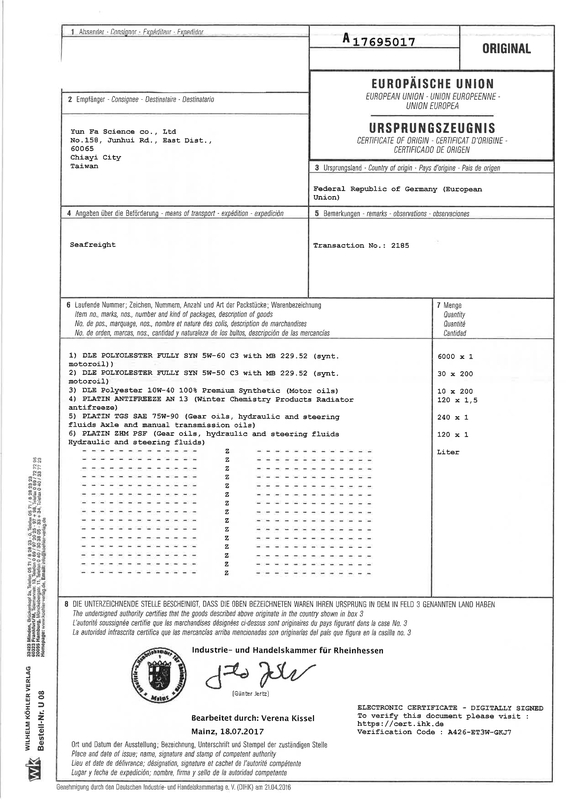 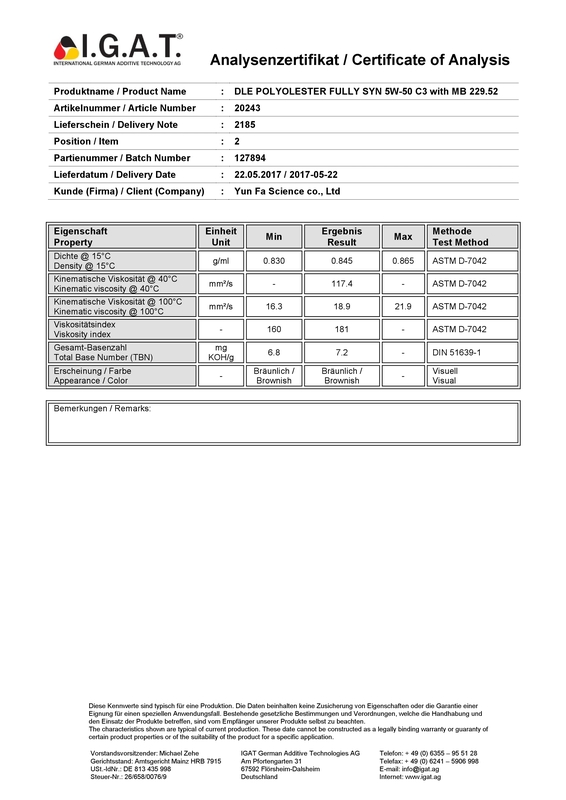 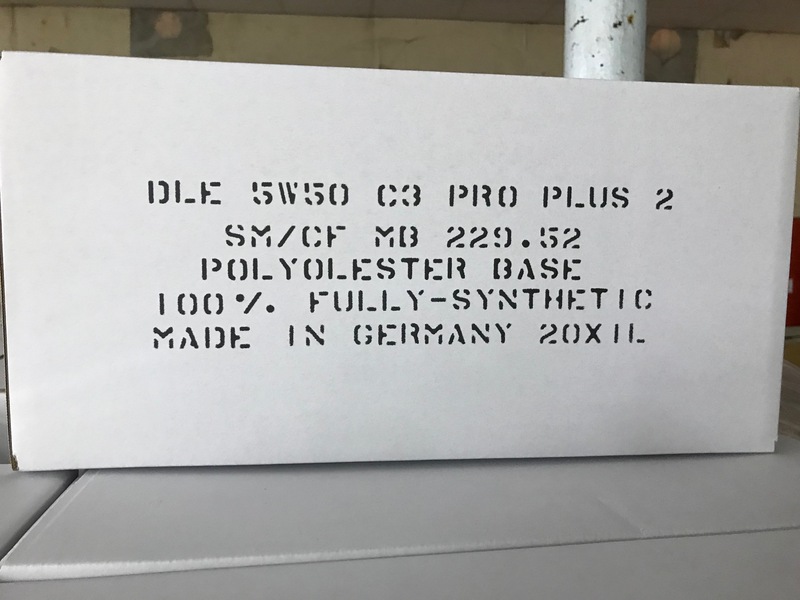 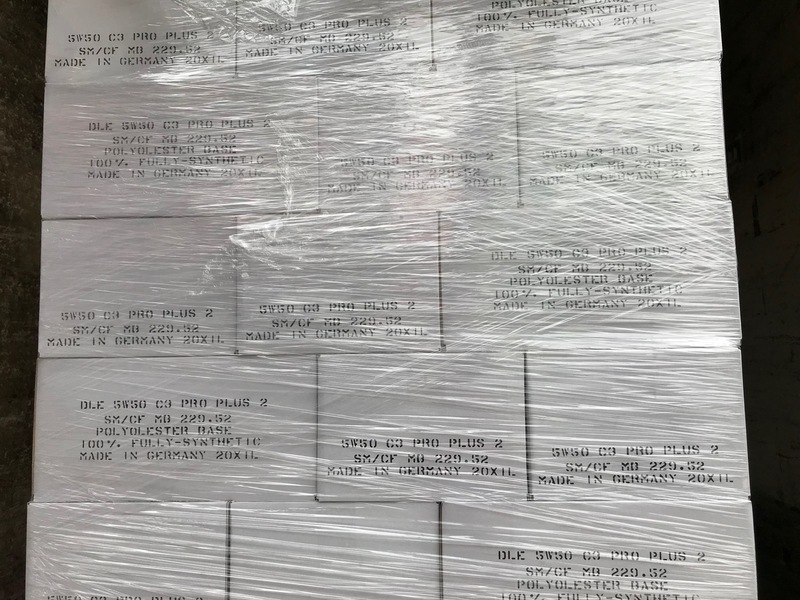 DLE Polyol-Ester FULLY SYN 5W/50 C3 MB-229.52 PRO++ fulfils the requirements of many vehicle manufacturers, also as the ACEA C3 specification for a so called „low-ash“ product. 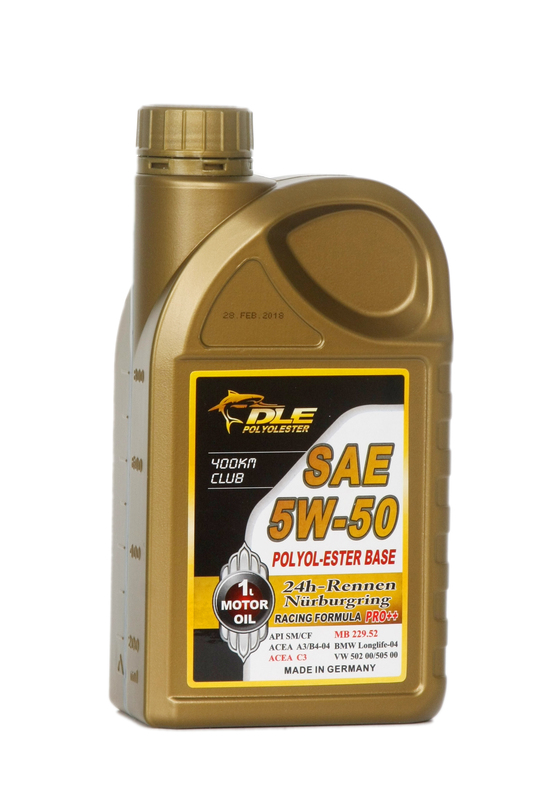 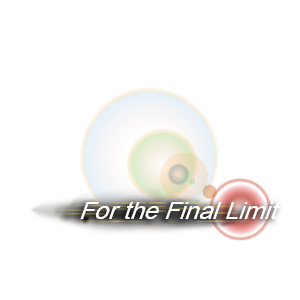 Suitable for most of today’s gasoline and diesel vehicles. 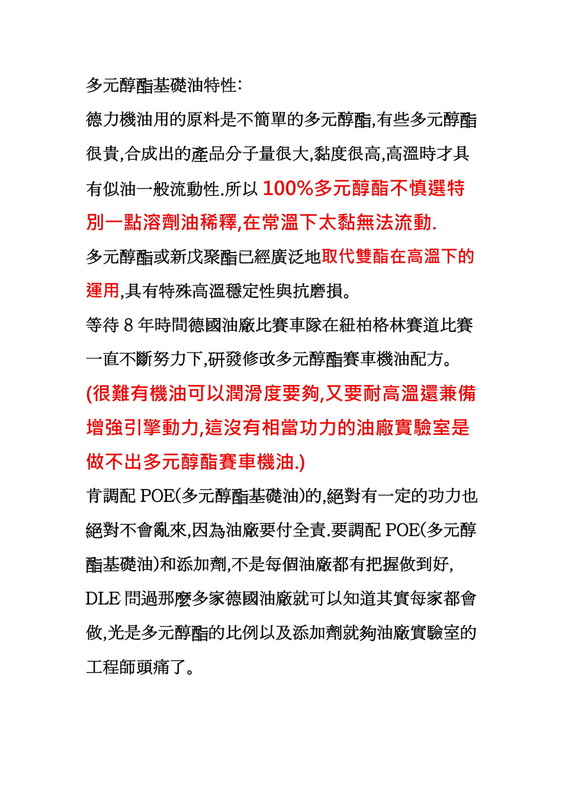 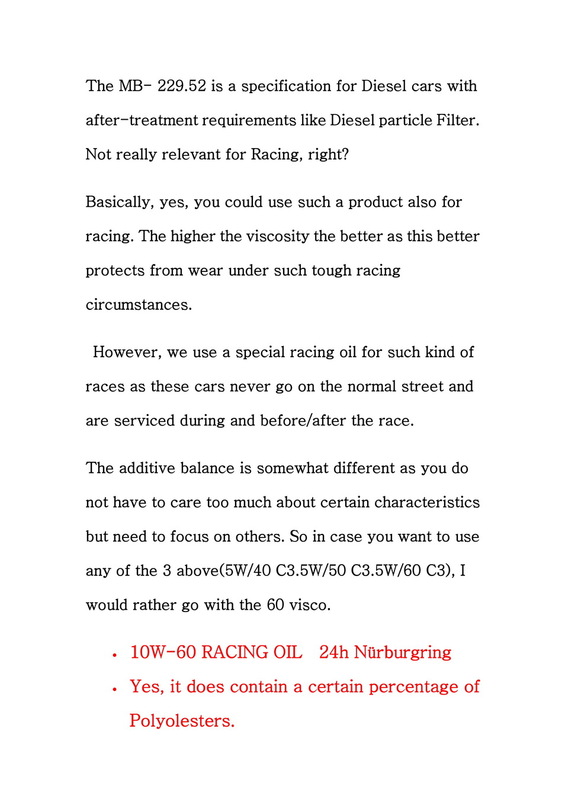 In respect to manufacturer’s instructions it’s recommended in vehicles with exhaust after treatment devices (DPF = diesel particulate filter) also as in gasoline and diesel engines with/without turbo chargers. 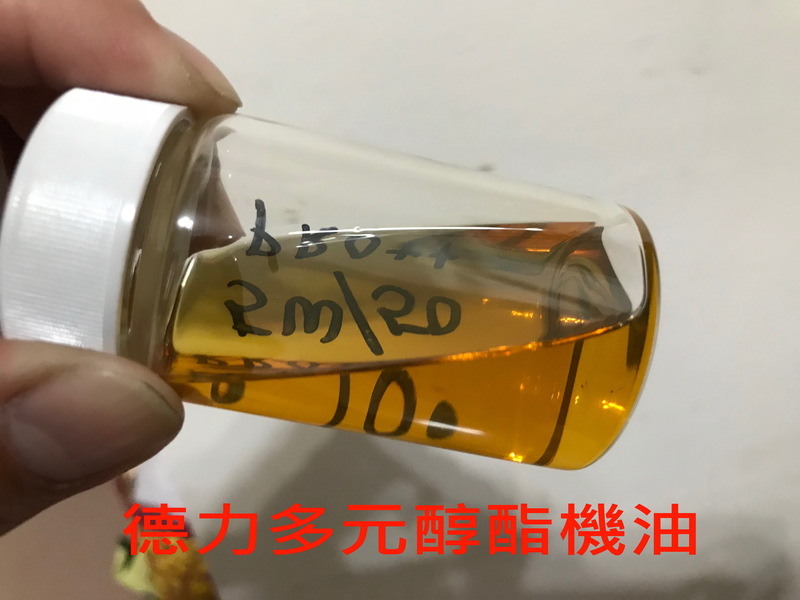 Fully synthetic PAO and Polyol-Ester Base oils combined with extraordinary additive technology >> very high oxidation resistance. 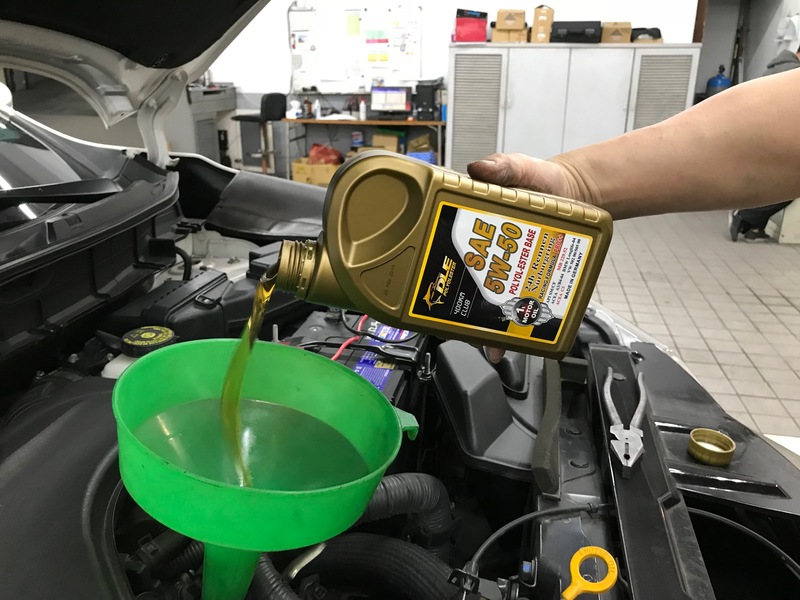 Excellent cold start behaviour even under extreme low temperature conditions high shear stability and adapted viscosity >> outstanding viscosity-temperature behaviour therefore real all-season use. 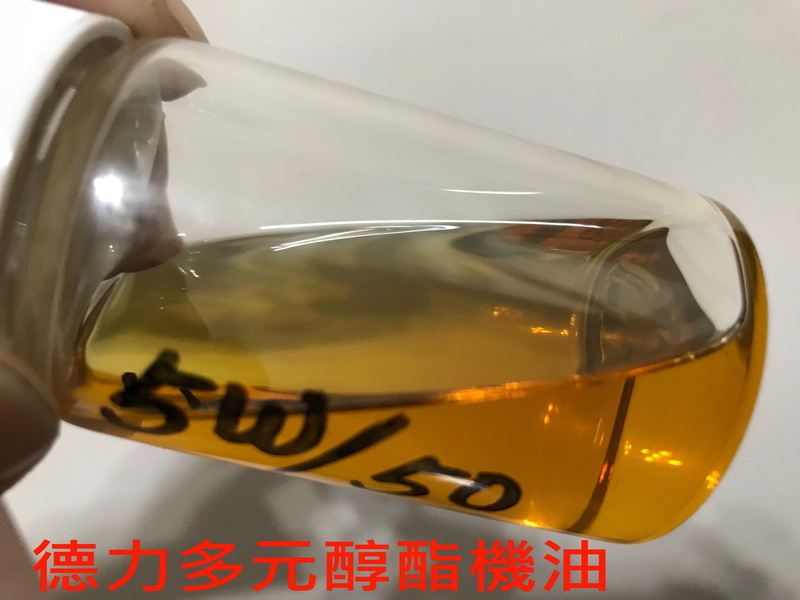 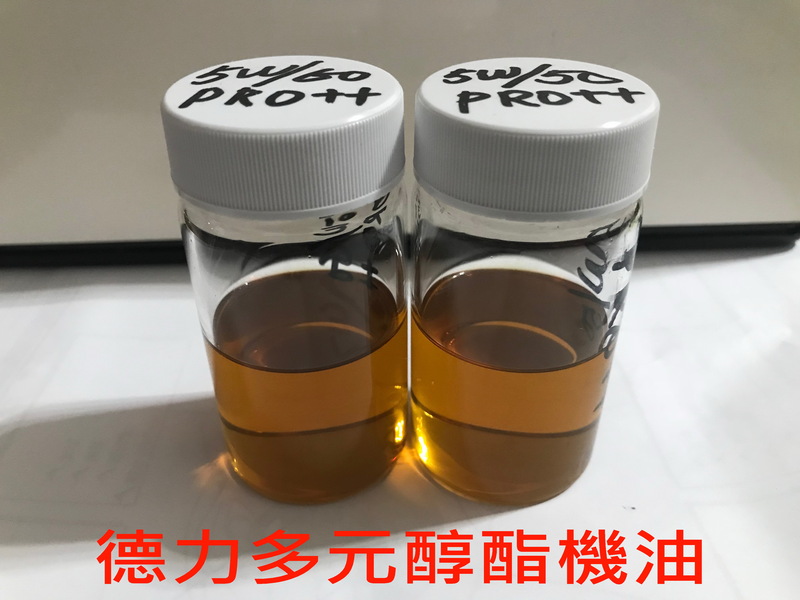 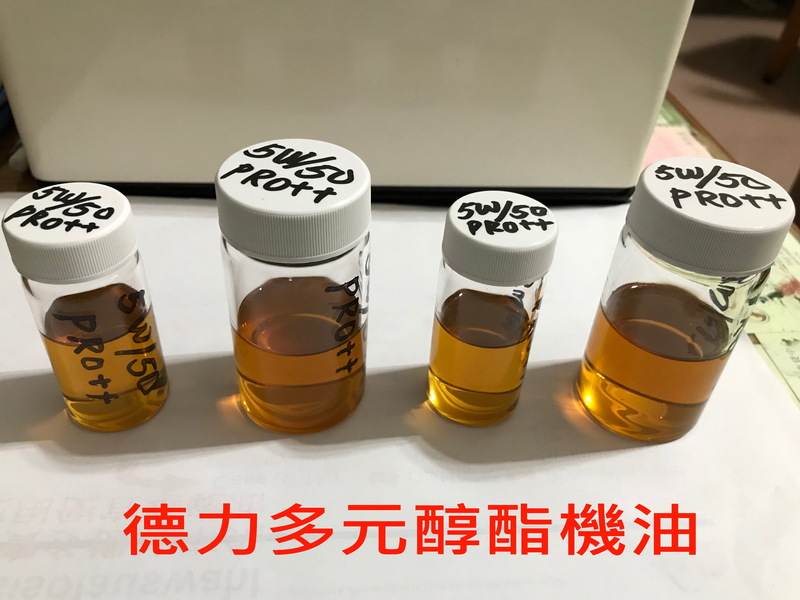 Optimized viscosity grade >> stable lubricating film even under very hot oil temperatures and/or very high stress due to the great rationalism product with multi-functional applications in diesel and gasoline engines of several manufacturers. 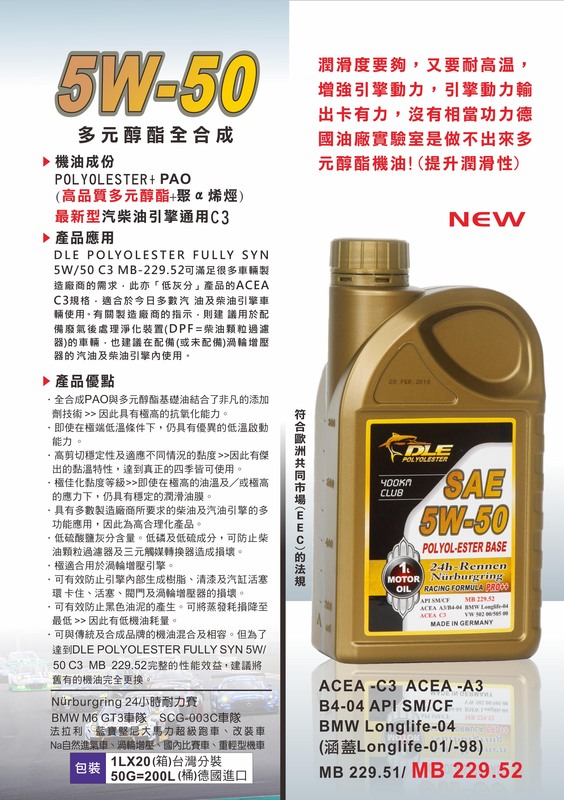 low sulphated ash content low phosphorous and sulphur level prevent diesel particulate filter and 3-way catalysts from damage excellently suited for turbo-charged engines reliably prevents from resin formation, varnishing and ring sticking of cylinders, pistons, valves and turbo chargers. 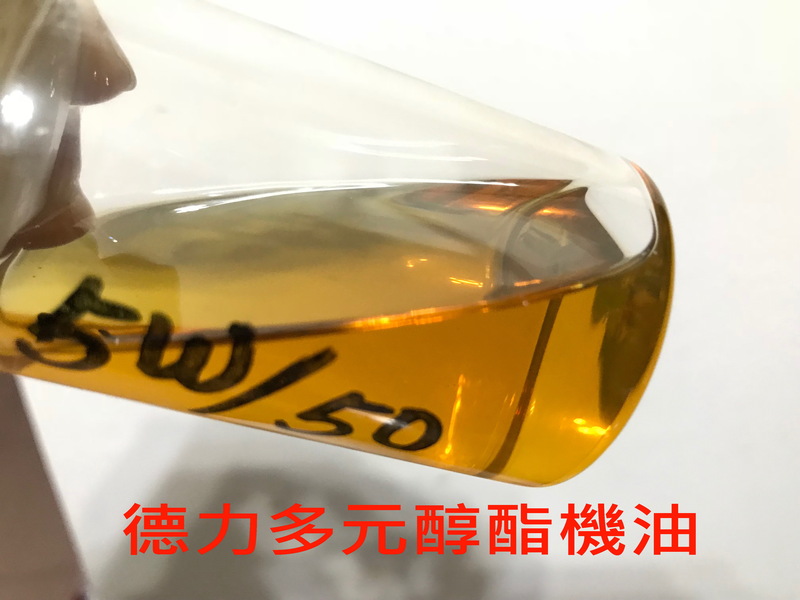 reliable protection against black-sludge minimum evaporative loss >>low oil consumption miscible and compatible with conventional, also as synthetic branded engine oils. 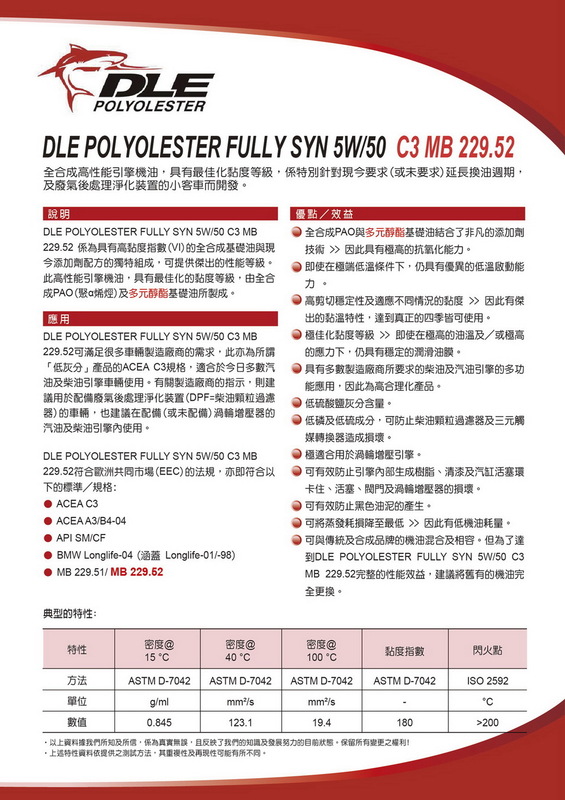 To make use of the full performance benefit of DLE Polyol-Ester FULLY SYN 5W/50 C3 MB-229.52 PRO++ a complete oil change is recommended. 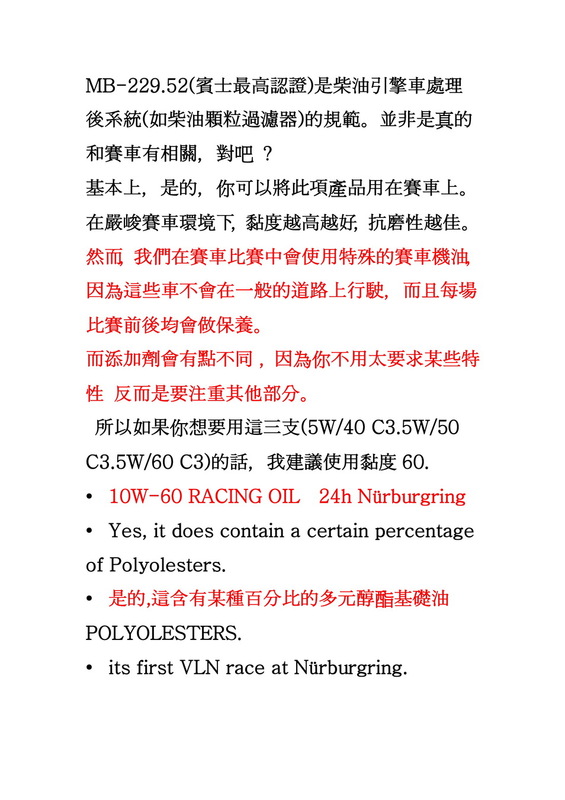 24h-Rennen Nürburgring--BMW M6 GT3 SLS AMG GT3 Team--SCG-003C Team--- Ferrari, Lamborghini, Hi performance vehicle, NA Engine, Turbo-Charge Engine, Heavy weight motorbike…etc(diesel engines -(DPF = diesel par­ ticulate filter).